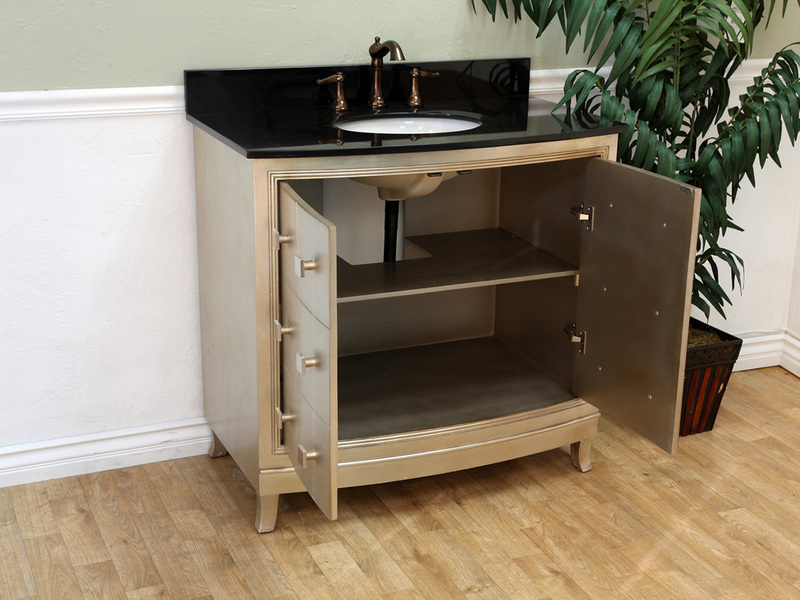 The Loire Modern Single Vanity is bound to stand out with its unique bronze silver finish and square panel doors with matching square hardware. 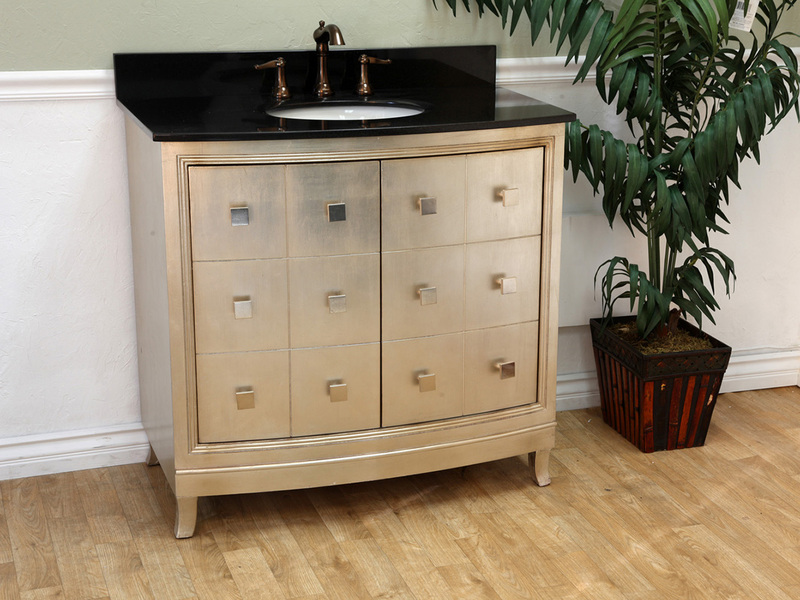 Its clean lines, lustrous finish and contrasting black granite counter top make this vanity a great example of modern design. 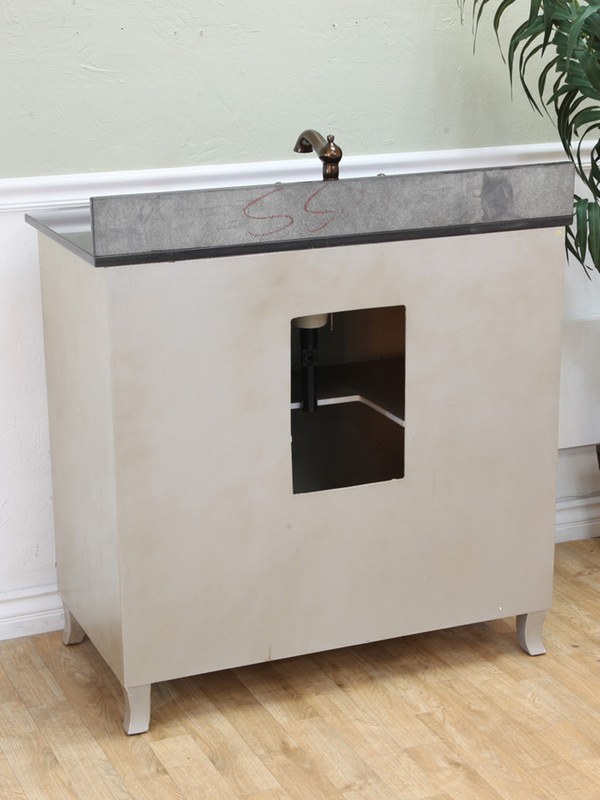 The finish is not only eye-catching, it is water proof as well, providing protection against humidity to preserve the vanity's shape. 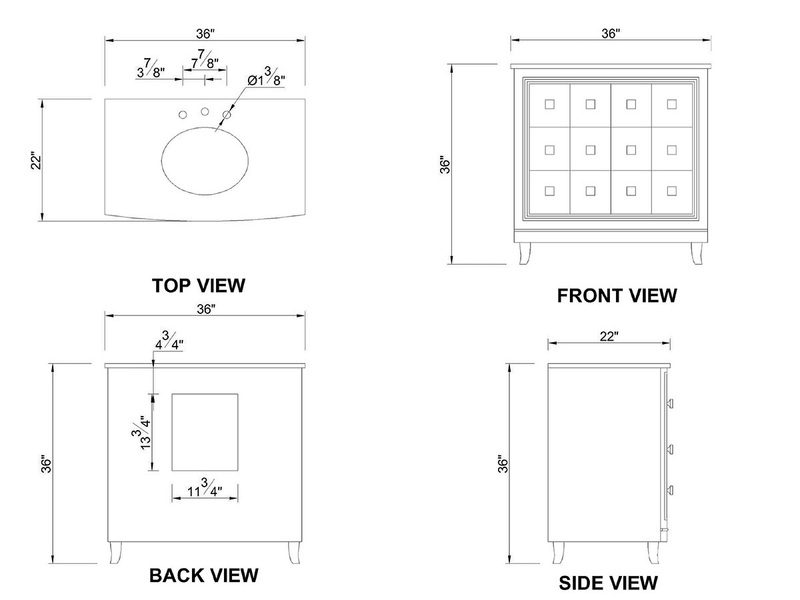 The single cabinet is divided into two spaces via an interior shelf, providing a convenient storage space for a variety of bathroom accessories. 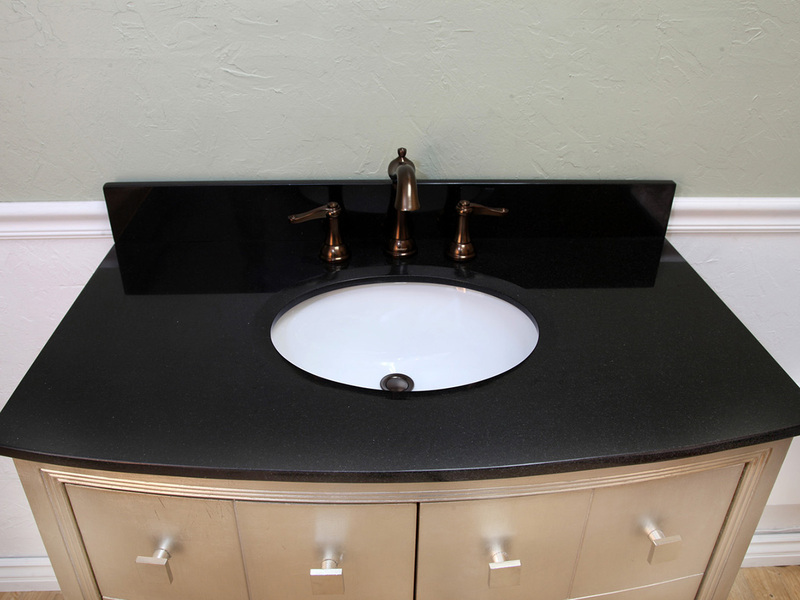 A black granite backsplash is optionally available with this vanity through the drop-down menu.